Now: To the mother who demanded the trash be emptied, it means immediately. To the 20-year-old son who will get to it eventually, it means sometime today. McDonalds: To the over-extended, ‘I forgot to thaw out the chicken’ parent, it means SUPPER. To the health-conscious, it means ‘heart attack in a bag’. Normal: To a teenager, it means someone who “fits in”. To a dog, it means it can be eaten. To a person who happens to have a disability, it means “treated like everyone else”. Yup! You often have to consider the source to understand how people choose to define common words. The word “normal” has cropped up a couple of times in the past several weeks for me. “Oh my husband has one of those. How long have you had yours?” she asked with curiosity. In talking with her, it seems her husband was deafened at a young age and was essentially without sound for 27 years before he received his own bilateral implants. He evidently has a noticeable speech impediment. But what is “normal”? I have met late-deafened and congenitally deaf people from all over the United States. “Normal speech”? Some would argue my southern accent is not “normal” for the DC-Metro area. How one person with hearing difficulties speaks, is much like an individual accent. There isn’t anything “abnormal” about it. My son has perfect (selective) hearing, and he has a speech impediment. It is “normal” for him though. How pronounced his own speech difficulties sound, depends on how hard he chooses to enunciate words and regulate his speed. Who determined what “normal speech” was and determined the “yard stick” by which to measure all speech? “Oh! No… Chloe graduated 3 years ago. She’s always training, but I’m not her original trainer” I replied. “Oh! You mean she is YOUR partner?” the surprised woman asked. “Yes. She’s a hearing/assist and balance assistance dog. I am late-deafened and have Meniere’s disease”, I cheerfully replied. I just smiled and she walked away embarrassed. Very likely, this world would be a better place if people didn’t go around labeling others as NORMAL or NOT. To someone, somewhere… you aren’t “normal” if you choose to define the word as “not like you”! Below is a short video about Fidos For Freedom. This is the organization that Chloe comes from in Laurel, MD. 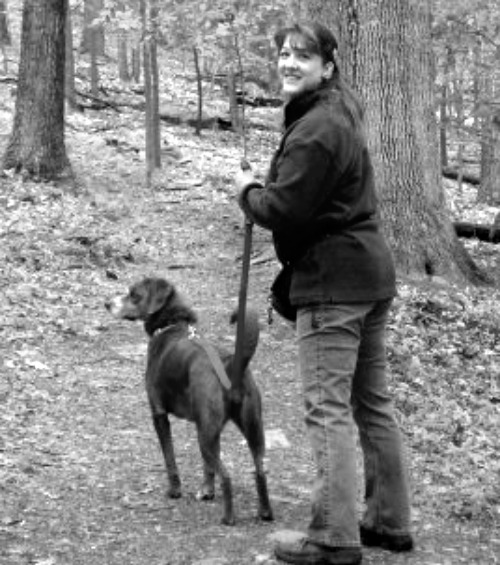 Assistance dogs can be owner trained, trained by a knowledgeable trainer, or may be a program dog (trained by an organization). 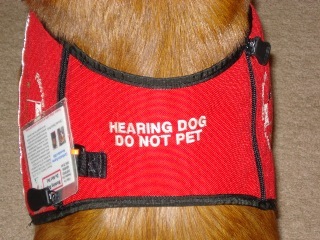 The latter often provide “certification”, however the ADA does not require that dogs be certified. I am blessed to live close to Fidos For Freedom and was able to train and obtain a “Fido’s dog”. For those with hearing loss, you can go to the link (provided below) and turn on captions. You know? If I didn’t think what others thought of me was important… I’d never shave my legs. I would throw my toothpaste away. I would toss all of my bras. After all, I do not do these things because smooth legs, peppermint breath and supported body parts do anything for ME. Instead, your “outfit” (such as it may be) is color-coordinated to a degree. Your body odor reflects you care about hygiene. But we don’t respond that way, do we? There are societal “niceties” that we adhere too. We know that, “Hi! How are you?” doesn’t mean that the other person really wants a play-by-play of how your day REALLY was. I don’t think that makes us liars. We are simply individuals that are part of a society that interacts somewhat superficially in our everyday greetings. Yes – I know! There are some people we are just “straight” with and tell it like it is. But most of the time our interactions with others are not with those specific individuals. These special, specific individuals don’t care if we shave our legs. Take for example something that happened to me this past week. She then looked at the side of my head and noted my cochlear implant. She actually took two steps to the side to check out my OTHER ear. By this point… I’ll admit that I was a little intimidated! “Yes, I have a hearing loss and Meniere’s disease. Chloe alerts me to sounds I cannot hear, and picks up things I drop. Because of her, I can be out shopping without anyone with me and I never have to ask for help”. “Imagine that Chloe. It’s not even Halloween!” The witch with hairy legs walked away with some positive information about working dog partnerships. I’m reminded time and again how much we need each other. I know a kindred spirit and dog-trainer who drove all the way to Frederick with her roommate who has a service dog to walk around the mall after my “incident” to show solidarity. These same people were all set to travel to Virginia to attend a vigil to protest that Andrew was not going to be allowed to have his service dog in school. Thankfully, the school board reversed their decision. 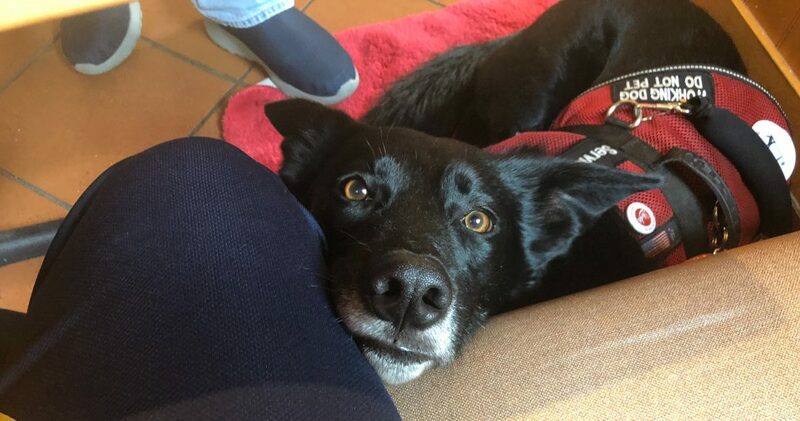 I know numerous trainers at Fidos For Freedom that spend countless hours training assistance/service dogs, training and instructing people… all without pay. They take dogs into their homes to spend countless hours OF THEIR FREE TIME, honing skills and modifying behavior so that a dog eventually makes an excellent match with a person that needs them. These are NOT people who “don’t have a life” either. They have families, jobs, pets of their own, ministries, hobbies, and goals. These trainers not only do not get paid, they rarely receive any recognition. They don’t do what they do for the recognition though. They do it because they love people, love dogs, and love to be a part of the connection that takes place between these matches. I know people who volunteer and give of their time, resources, and talents to numerous non-profit agencies. Their goal is to serve their fellow man. They want to make a difference. They DO make a difference. It takes just one BAD example of a person with a disability or special needs to sort of “spoil it” for the rest of us. As for me? I don’t ever want to be that person. I certainly take the opportunity to “belly-ache” to select individuals who know I just need to “vent”. I know – that THEY know – I may belly-ache about an encounter in private, but in public I will put on a brave face. They let me vent… and then hand me a razor. Yes… we need each other. Don’t ever think that what you do – does not in SOME way reflect on others. As a person of faith I try to be extra careful. After all, I cannot go around “claiming faith” if I live as if I don’t have any at all. If I express that faith is important to me, I need to remember that my words, actions and life reflect how others see Christ.